Black Moth Super Rainbow take cues from both German synth/ambient pioneers like Cluster and Harmonia, as well as Italian soundtrack legends Ennio Morricone and Fabio Frizzi, effectively building off of the hazy, Technicolor acid dreamcoat this Pittsburgh-area group has been weaving from the get-go. Essential! 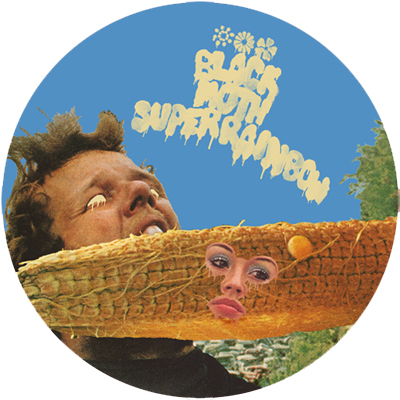 Black Moth Super Rainbow "Don't You Want To Be In A Cult" b/w "Feel The Drip"
"Don't You Want To Be In A Cult"